The New Stenner Econ FP Series Pump which we call the IPU-16 metering pump, is a one a kind metering pump which can handle various water treatment needs to deliver chemical products for city or well water applications. This is the pump for the job. 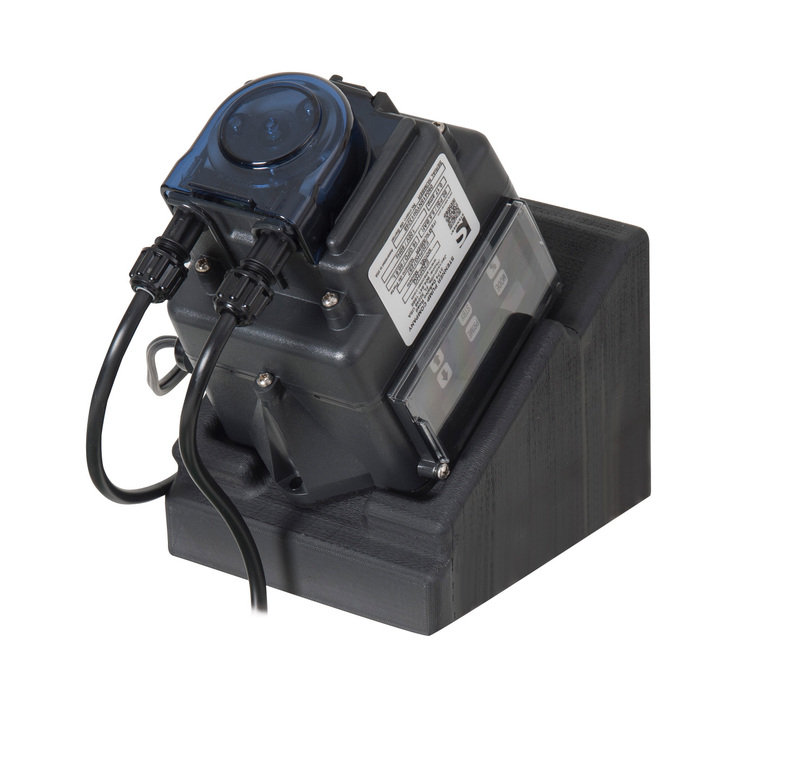 This 16 GPD pump can be set up to run on various applications whether it be for connecting to a 24 volt irrigation timer or a flow switch, this pump will operate for any type of application you may need. The pump comes with lead wires which install directly to the irrigation timer or flow switch and features a built in relay. The pump has a 110v adapter which will need to be plugged into a wall outlet to turn the pump on. This adapter cannot be cut to hard wire the pump, for the pump will not operate without the adapter. The pump operates with an adjustable digital setting and is pre-set from the factory at 33% which becomes a 5 GPD pump in the auxiliary mode. The GPD output of the IPU-16 can be changed from a 1 GPD up to a 16 GPD and by changing the tube assembly to a # H tube. When changing the tube the pump becomes a 30 GPD pump. The unique features of this pump make it an all around outstanding pump. To install and replace a new tube is almost effortless. This pump can handle up to 110 PSI and be used for indoor or outdoor applications. Please note: Warranty will be voided if power cord has been cut.